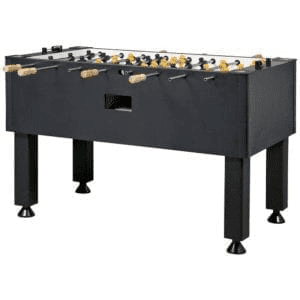 The Tornado Classic foosball table combines a contemporary look with heavy duty construction and many of the features found on commercial tables. The Classic includes all of the Tornado quality features plus additional features to enhance gameplay. This table features leg pad and down corner construction for added stability. The legs are adjustable with levers featured on the side. The entire outside of the table is covered in a soft leather laminate for a contemporary look. There is only one side ball return, making it easier for you to find the ball you need to keep your game going quickly. A redesigned player “foot” allows more precise ball control with higher cross-hatching and square sides. 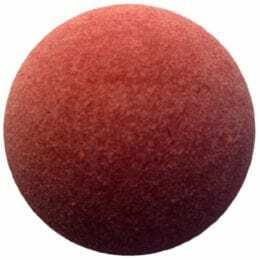 The patented-process ground balls provide the smoothest and most accurate play available. We patented the rubber bumper, player, and ball. 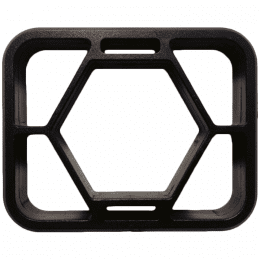 The rubber bumper guarantees super-fast and durable play, so your tournaments go uninterrupted. Our handles are made of natural wood. Their shape allows easy grip and complete control of the rods. 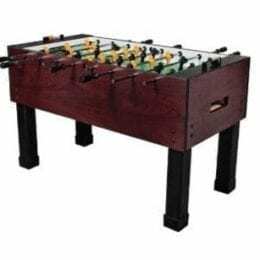 It has 3/4” playfield with precise graphics to enhance shot accuracy. 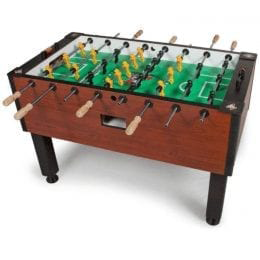 You can trust the American-built construction and quality of this Tornado Classic Foosball Table.